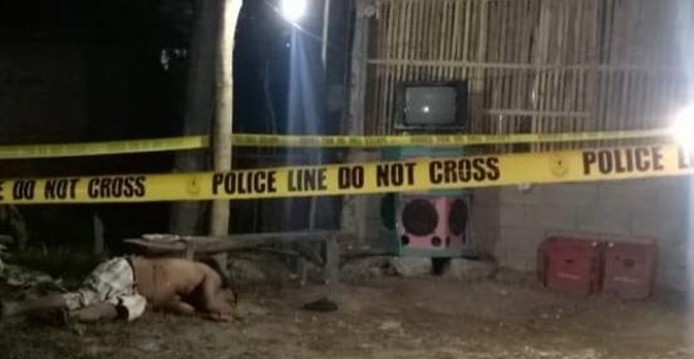 A man suspected of being a member of a robbery group was shot dead by an unidentified gunman in Danao on Sunday night. Victim Jose Bambi Duac, 45, a native of Danao who temporarily lived in Balilihan, died on the spot, said SPO3 Ramil Gumapac of the Danao Police Station. According to Gumapac, Duac was talking to a customer of his newly opened videoke bar when the motorcycle-riding gunman, who rode in tandem with another suspect, shot at him using a 9mm pistol. Duac sustained two gunshot wounds in his chest, one in front and one at the side, which led to his instantaneous death. Gumapac said that investigations were still being conducted to identify the suspects and motive behind the fatal gun attack. Based on information gathered by investigators, Gumapac said that Duac was a member of the “Buak Gang,” a Carmen-based robbery group. However, authorities have yet to confirm whether or not Duac was still an active member of the group.